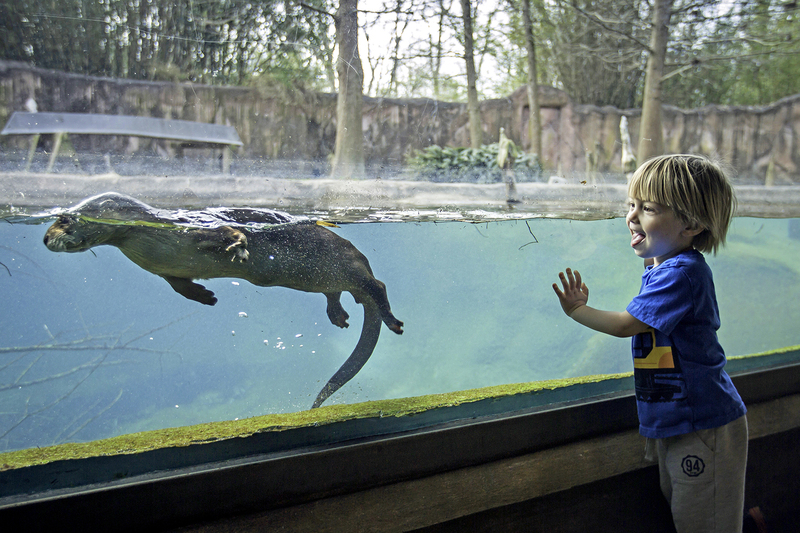 Three-year-old Henry Carbo watches a passing otter during a visit to the zoo with his family. Citizens will get their first opportunity to weigh in on what they’d like to see at a new Baton Rouge Zoo and reimagined Greenwood Park at two public meetings today, one at midday, the other this evening. Consultants with the two firms doing the plans will use large illustrated boards to present information and suggestions to attendees, then give them a chance to respond with questions and recommendations of their own. The feedback will be used to help inform the plans, which are expected to be completed late this year. In September, the BREC board selected Boston-based Sasaki Associates and New Orleans-based Torre Design Consortium to do two separate long term master plans for Greenwood Park and the zoo, respectively. Both plans will also include suggestions for how the two projects will be funded over what is expected to be many years. There’s not yet a preliminary estimate of how much the projects might cost, but Michelet says BREC was recently made aware that Greenwood Park—which is also home to the zoo—is in a federally designated Opportunity Zone, which makes it potentially attractive to private investors, who would qualify for tax breaks if they invest there. In advance of today’s community gatherings, BREC officials and their consultants have been meeting in small groups with elected officials, civic leaders and potential donors to gather their input for the projects as well. “We’re just reaching out far and wide to let them know what’s going on,” Michelet says. Today’s meetings will be from 11 a.m. to 1 p.m. in the Garden Center at Independence Park and from 6-8 p.m. in the Waterfront Theater at Greenwood Park.